I use prepared mayonnaise, preferably light. 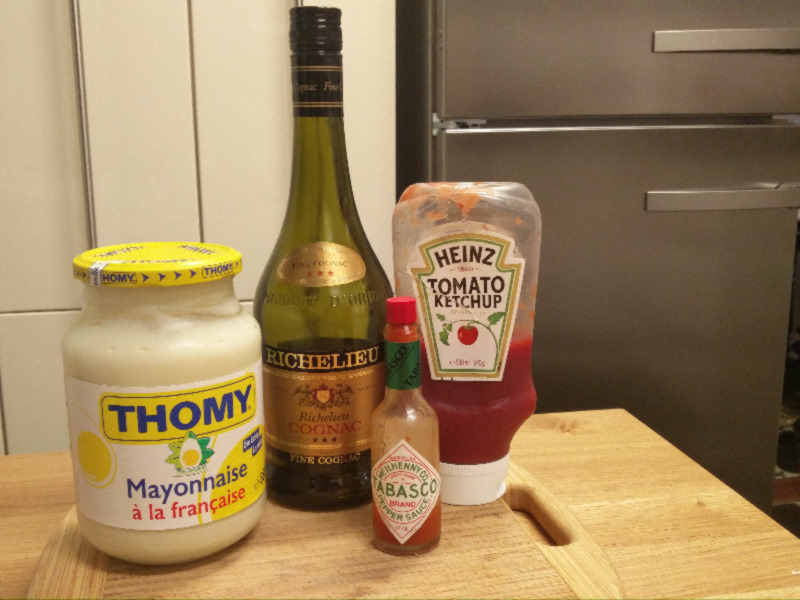 Add 1 to 2 spoons of ketchup, a dash of tabasco, and a pronounced dash of cognac. Stir well.